The Bayern Curve is a flat ride. It is fast, fun, rerideable,it has a large capacity, and a long duration. Poor bayern kurve in my opinion. This one had great speed, but the ride was pretty bumpy throughout and the cycle wasnt all that long to boot. I did like how it looked though. this ride was the worst ride ive ever rode! i was seriously scared for my life. my seat belt was like a thin stretched out rubber band that fell to my feet mid-way through the ride! although it was a really fun ride and i wish they had gotten maybe retsraints like the phantoms revenge. This ride is sooooo much fun, i miss the loud horn though. but i swear sometimes it feels like it is going 100mph. especially during Phantom Fright Nights, that thing was flying. its a great speed rush. who can keep their hands up the whole time? I CAN!!!!! if you have to hold on for dear life then your WEAK!!! i keep my hands up the entire ride, and i never fell out. and im a girl!!! I guess I am in the minority here, but I really like Bayern Kurve. Its fast and fun! I dont honestly find it to be as unsafe as the others here have made it out to be. Yes, you have to hold on, but its not a dangerous ride by any means. I guess its just not for everyone. Usually has nice short lines, and if you take a trip to KW, give it a go....youll be glad you did!! Used to love this type of ride, but this one is awful. This and whirlwind are the 2 worst things in pennslyvania. I would give this a zero if that was possible. It also had such a hilljack type of feel to it I swore I was at the Hazard County Fair. I really hate this ride. I rode it first thing in the morning on my day at Kennywood, and it resulted in me having a headache for the rest of the day. I dont recommend this ride at all. 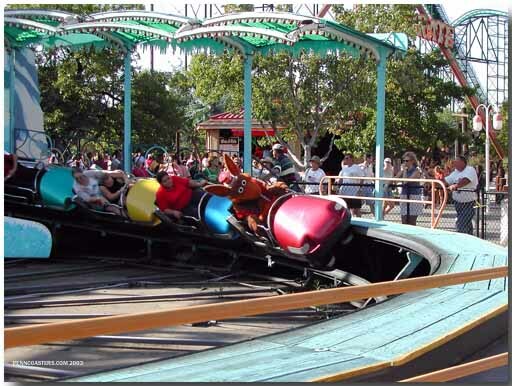 I hate this ride, and cant believe that Kennywood brought it back. (Kennywood had removed this ride for quite awhile.) This ride entered Kennywood, and other parks under different names, in the 70s. Park owners keep slowing this ride down as people were falling out of it, and getting killed! 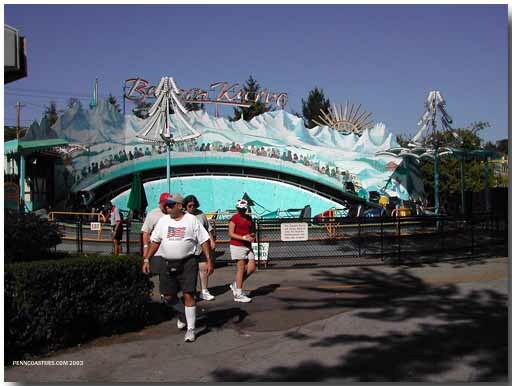 To my knowledge, no one fell out and got killed at Kennywood - not even me, but I felt like I was going to - and at the time, I hadnt heard that people were getting killed on this, or I wouldnt have gone on it. What the problem with this ride was: It didnt need slowed down. What it needed, and may still need, was better rider restraints. If theyve gotten those, then it should be fine now. However, I felt like I was holding on for dear life when I rode this. This is a really enjoyable flat ride! Bayern Kurve is a unique ride that I cant say Ive seen anywhere else. It goes faster than it looks, and usually results in laughing out loud as the ride ends. Another Kennywood gem that the whole family can enjoy! !